The first attempt to bring advertising on Google Map was about 2-3 years ago when Google introduced sponsored markers on both, public version of Google Map and as an optional advertising service available for developers using Google Map API. The ads appeared as little clickable markers when users visited certain geographic areas specified by advertisers. With exception of Japan, this concept didn’t quite catch up. 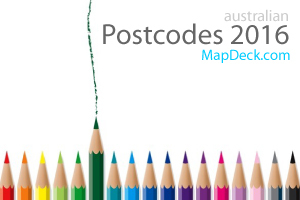 I tested the concept on aus-emaps.com but eventually have given up as hardly any advertisers in Australia bothered to use this form of advertising. Last year Google introduced an option for developers to add its famous text ads directly on the map to help monetise various mapping applications. 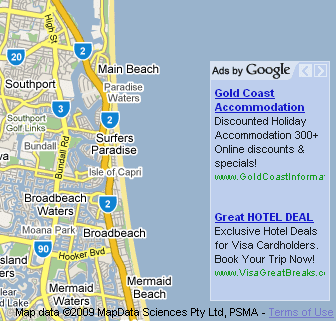 The ads can be positioned in a corner of the map and content is dependant on the geographic extents viewed by the users. This follows the concept first introduced by lat49 a Canadian online advertising company attempting to explore map based advertising for Google, Bing and other major online mapping platforms offering APIs for developers. My test results with lat49 ads were less than impressive so, I quickly removed that option from my site. 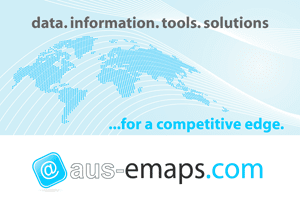 I am yet to try Google version, possibly in the next release of aus-emaps.com front page. 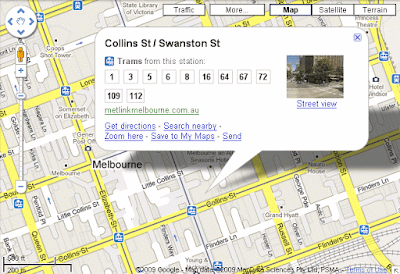 Not many may have noticed that recently Google also introduced clickable mini-markers on its public Google Map site. Things like train or bus stations, museums and other places of significance can now be “clicked on” for additional information. Markers are subtly incorporated into the overall design of the map so they do not detract from map browsing experience. Only when you hover your mouse over those tiny markers you will notice that the mouse pointer style changes to a hand, which means this item is clickable. Extending that concept to branded markers for fast food restaurants or other "commercial" points of interest seems a logical "next step" for Google. Others are already doing similar things. For example, Telstra has been incorporating branded markers for hotels (roamfree.com and wotif.com), restaurants, petrol stations etc. points of interest on its whereis.com maps for quite a while now and not as subtly as Google. Majority of those points are referenced to Yellow Pages advertisers. For Google, adding those branded markers will be just a small step forward in an ongoing quest to extract maximum value from its asset while providing extra functionality for map users. It is not a “radical new development” that news headlines are inadvertently implying.